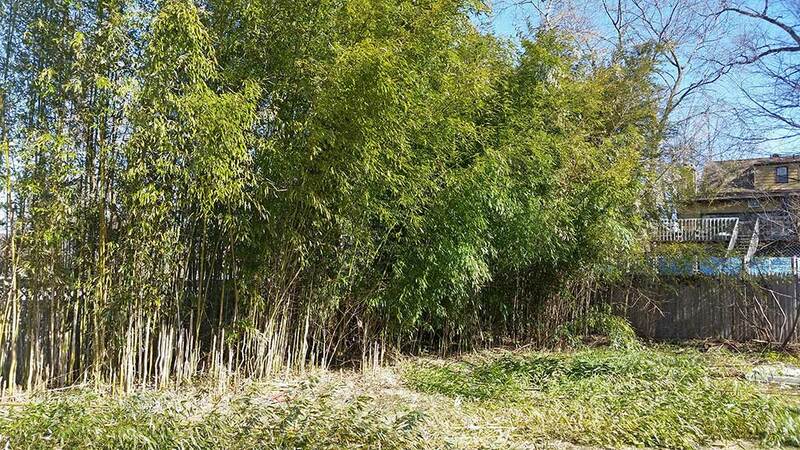 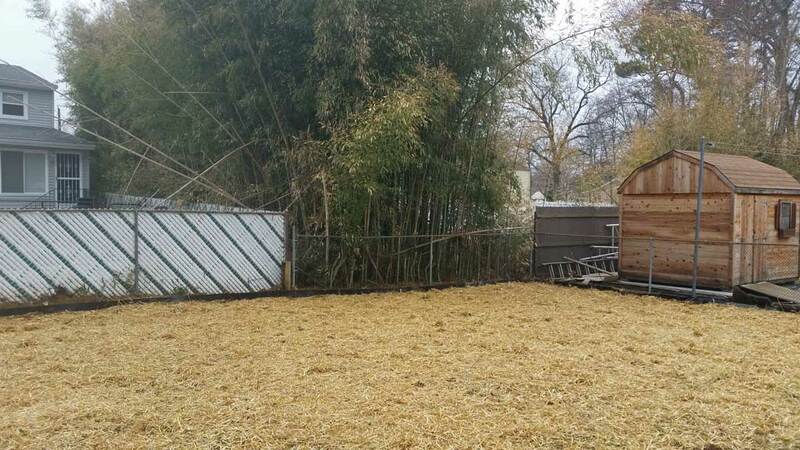 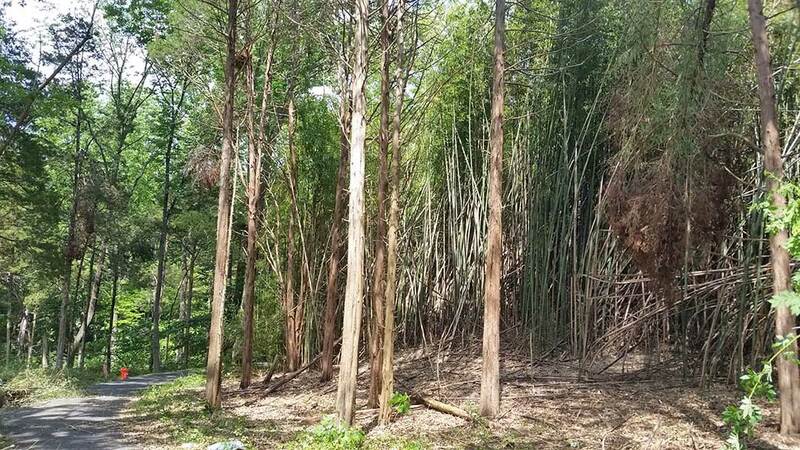 Neighbors bamboo encroached along back of clients property line. 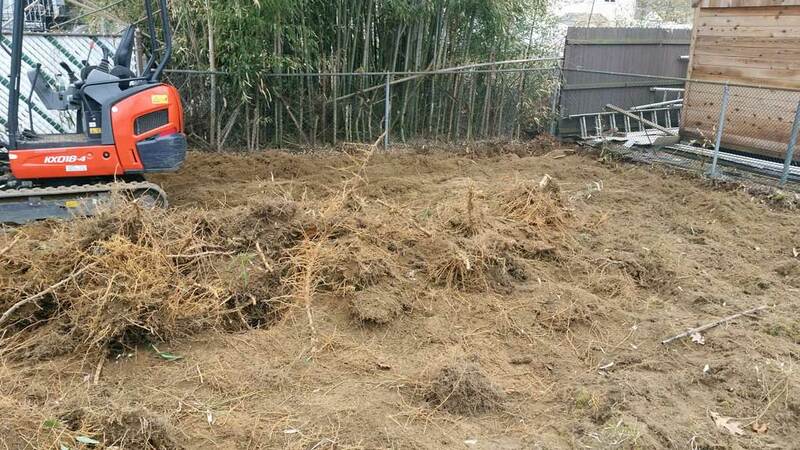 They had been trying to mow and rip out roots for a few years but it became a never ending battle. 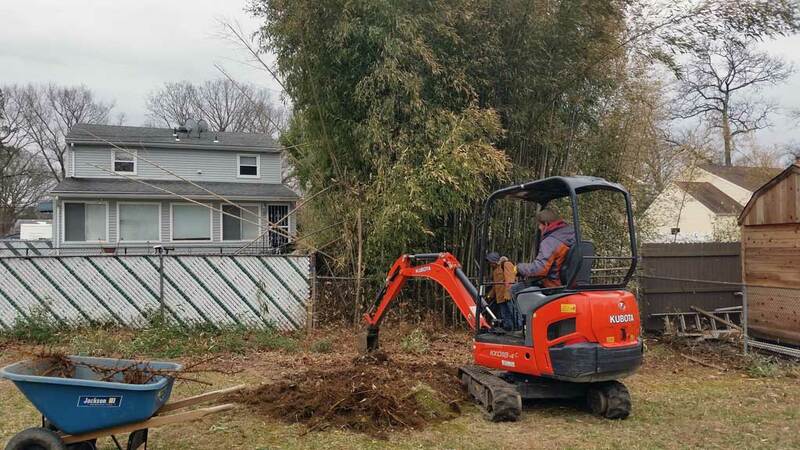 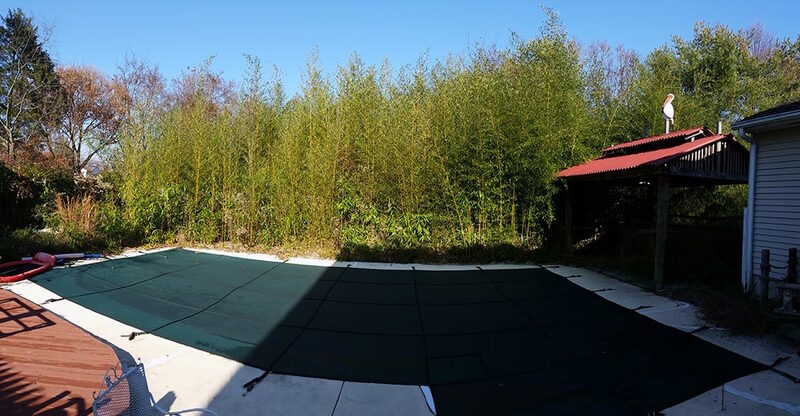 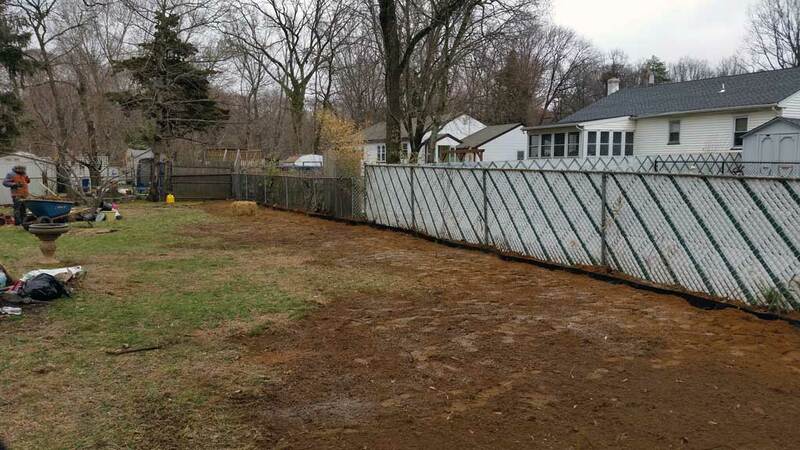 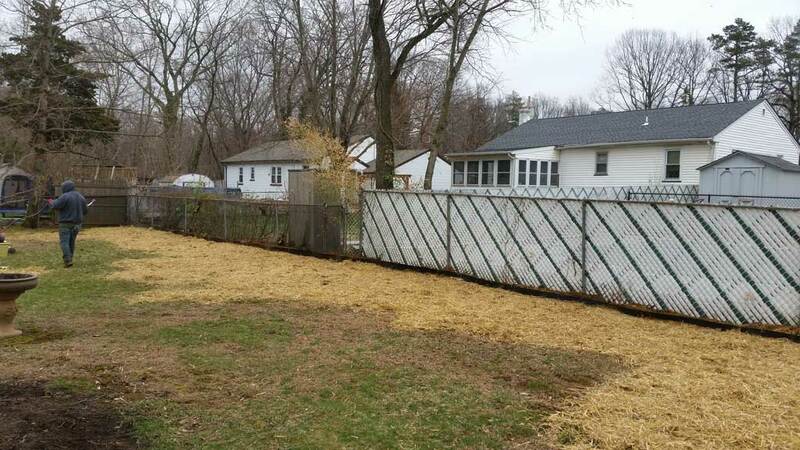 NJ Bamboo removed rhizomes within property and installed rhizome barrier along perimeter of yard to control future spread.